Province of Nova Scotia (Island of Cape Breton). Sheet no. 18. Province of Nova Scotia (Island of Cape Breton). Sheet no. 21. Province of Nova Scotia (Island of Cape Breton). Sheet no. 23. Province of Nova Scotia (Island of Cape Breton). Sheet no. 17. 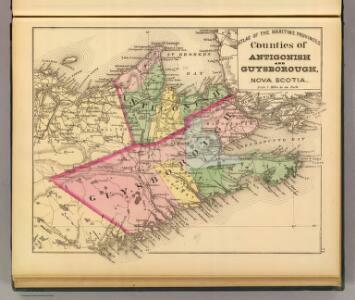 Cape Breton, Richmond counties, N.S. Province of Nova Scotia (Island of Cape Breton). Sheet no. 15.